Considering the importance of vitamins for our body needs, we will present the fruit that contains vitamin E to increase your knowledge. Vitamin E is one of the vitamins that are rarely discussed and raised in the articles popular. Even so, the role of Vitamin E actually can not be underestimated. Vitamin E is as important as other vitamins and nutritional types. Consuming vitamin E on a regular basis will provide good benefits for the body. Vitamin E has antioxidant effects that the body needs to fight, deter free radicals that bad for the body. Vitamin E can also help keep the body's immune because of his role which helped build the immune system and helps fight infections that attack germs. Another benefit offered Vitamin E is able to slow down and prevent the onset of degenerative diseases such as Alzheimer's, cancer and macular degeneration. Fruits that contain Vitamin E that most of the avocado. Avocado is a fruit that contains a lot of fat that supposedly he can make the body fat. Fortunately this statement is a myth that is not true. Avocado fat is good fat can also help maintain the structure of the heart and your blood vessels. In addition, Vitamin E is a fat-soluble avocado can also satisfy your daily needs of vitamin E as much as 10%. But keep in mind to avoid the consumption of avocado mixed with sugar or milk that is too much. Fruits are often taken this oil contains a lot of Vitamin E. Both olives or olive oil would meet the daily requirement of Vitamin E you. One glass of olives can meet 20% of your daily requirement of Vitamin E. Begin consumption of this fruit in salads, eaten as a snack or can be consumed olive oil as a condiment your salad or cooking oil. Not only good for digestion, it is also the fruit of the papaya fruit which contains Vitamin E. One medium papaya fruit will satisfy 17% of your daily Vitamin E requirement. In addition, papaya fruit is also a source of fiber and Vitamin C are very good. Papaya owned fiber will help your digestion and help you avoid the risk of colon cancer. Begin enter papaya fruit into your daily menu and get benefits. Mango is a fruit which is almost like everyone, from a young mango tastes sour to mango that tastes sweet and refreshing. The good news, the mango is a fruit that contains vitamin E. One medium-sized mango can meet 10% of your daily Vitamin E requirement. Mango also provide Vitamin C and antioxidants are equally important and needed in your body. When in season, it never hurts to eat a mango per day to get optimal benefits of this tropical fruit. The taste is sour and refreshing kiwi fruit a favorite make some circles of society. Kiwi contains Vitamin E which is needed by the body and 1 kiwi fruit size was giving 10% of your daily Vitamin E requirement. In addition to vitamin E, kiwi fruit also contains a lot of Vitamin A, Vitamin C and minerals the body needs both. Next time, choose the kiwi fruit topping for frozen yogurt adds a refreshing taste and to meet your daily vitamin needs. Food is often categorized as fruits and vegetables offers many benefits for the fans. In addition it contains a lot of Vitamin C, antioxidants and Vitamins A, tomatoes are also a fruit that contains vitamin E. Eating 2 eggs tomatoes will meet your daily needs of vitamin E as much as 10%. Tomatoes may also reduce your risk of getting prostate cancer. 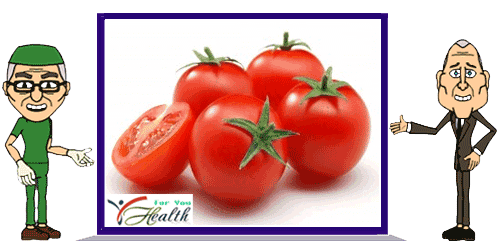 So do not hesitate to add tomatoes in your daily meal. Fruit belonging to the family of the berry is a fruit that contains vitamin E. Some examples berries are cherry, strawberry, blueberry and blackberry. Among all kinds of berry, blackberry was a fruit that contains vitamin E most. One glass of blackberry can meet 10% of your daily Vitamin E requirement. Just below the blackberries, blueberries and raspeberry was the champion 2 of sources of Vitamin E in the berry family. While strawberries are more commonly found in Indonesia is the third winner of the source of Vitamin E in the berry family. In addition to the juice was made as an additional treatment of dengue fever, guava fruit can also provide Vitamin E is needed by the body. One cup of fresh guava can meet the daily requirement of vitamin E as much as 8%. Fruits that contain Vitamin E is also able to provide Vitamin A, Vitamin C, Vitamin K and other minerals needed by the body.